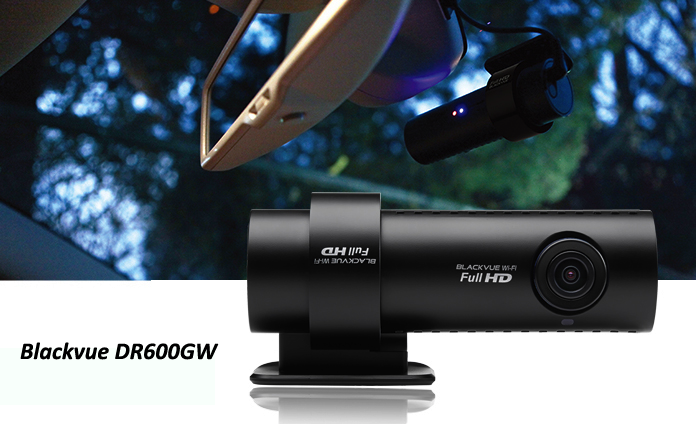 Latest BlackVue DR750S-1CH, DR750S-2CH, and DR750LW-2CH - FREE Shipping on all models! A dashboard camera, or dash cam in short, is a blackbox digital video recorder mounted on the dash or windshield, constantly recording clips of video footage when one is driving. The video recording can be solid proof when you are involved in a not-at-fault accident, and evidence against vandalism. Record evidence in a motor vehicle accident, in 1080p HD quality! Solid proof against insurance fraud, road rage incident, and vandalism when a witness was not present. Blackvue DR750S-1CH is 2017's best front full-HD dash camera that offers stunning 1080p Full-HD video recording quality, with resolution 1920x1080 @ 60fps, using the new SONY STARVIS image sensor that features a much higher performance when recording fast moving frames as well as in low-light conditions. 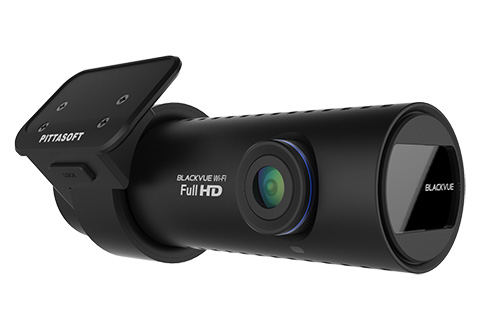 Blackvue DR750S-1CH has built-in WiFi, GPS, and G-sensor. WiFi connectivity allows the user to browse and view video clips directly from an iPhone or Android device. GPS stores mapping data and speed data (optional) which can be viewed via the Blackvue viewer app. G-sensor detects shock, vibration, and sudden deceleration. Video "Events" as these conditions occur are saved separately in the Event Folder for convenient browsing. Loop-recording is standard on the included 16GB memory card. With the optional Power Magic Pro (PMP), DR750S-1CH can opreate in Parking Mode as the vehicle is parked, monitoring and recording any event triggered by Motion Sensor or the G-Sensor. Parking Mode is fully automatic, and motion sensitivity is adjustable via PC software. 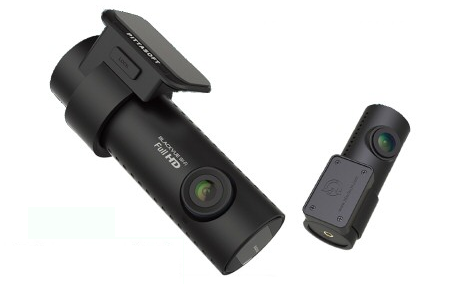 Click the button below to learn more about the Blackvue DR750S-1CH dash cam. Utilizing the same technology from the new SONY Starvis image sensor, the latest DR750S-2CH uses Dual Starvis front and rear for both cameras. It also support for up to 128GB microSD card capacitiy. Blackvue DR750S-2CH features front camera with 1080p at 60 fps, and the rear camera with 720p at 30 fps, linked with a highspeed coaxial data cable. Cloud, WiFi, GPS, G-sensor, and Parking Mode come standard. Optional Power Magic Pro is also compatible. If you are looking for a dash camera system with both front and rear dual channel recording, Blackvue's DR750S-2CH is the best money can buy! 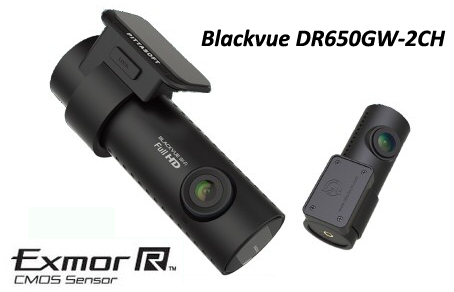 Blackvue released the new DR750LW-2CH in late 2014, making it the their first dual-channel full-HD dash camera that incorporates a 4 inch touchscreen for easy access. Dual 1080p video quality is achieved with the new 2.4MP Sony Exmor CMOS sensor, and the camera supports up to 64GB microSD card capacitiy. 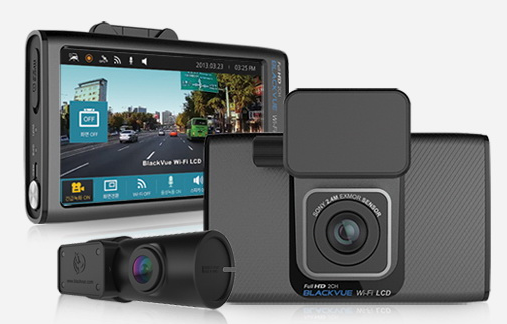 Blackvue DR750LW-2CH features WiFi, GPS, G-sensor, and Parking Mode. Optional Power Magic Pro is also compatible.